TSC was honored to host renown Brazilian soccer legend, Clemilson, on Thurs., 6/16 at 6-7:30pm on the Tburg high school soccer shed for a talk and demonstration of some drills and skills he used throughout his career. Clem started his professional career at the age of 7, recruited by the Brazilian Botafogo Football Club in San Paulo, Brazil. Clem has played with many legendary players including Zico, Socrates, Diego Maradona, Michel Platini, and Pele. Summer Soccer Camps are Coming! Don’t forget to check out our 2 great summer soccer camps coming in July and August. Challenger British Soccer Camp is great for all ages and abilities, coached by British college players, and is a week long camp on August 8-12th. The Charlton Elite Player ID Camp will be a 3-day event for elite players of ages U9-U19. Camp is designed to train players for 2 hours each day to ultimately identify players from our area who might be invited to train with the Charlton Athletic Academy, of the famed English Football League. camp will be July 8-10, and will also be a perfect pre-season event for our regional school players. Sign up now to secure your spots in these great camps! Here’s a defending game that reinforces the key principles of defending. It also requires the attackers to keep the ball, which is also very important! If you get a chance to use this in your practices, please let us know how it goes. 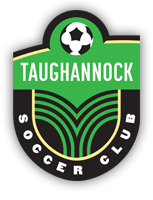 In my first couple of weeks on the job at Taughannock Soccer Club I have been very impressed with the enthusiasm and commitment of the players and coaches with whom I have worked. Thank you for sharing your teams and time with me. I hope you’ve found it worthwhile and it has given you some ideas about how to shape practice time so that it has an impact on the enjoyment the players feel when then play!! Bottom line in youth sports is development and fun. So often we focus on winning games and coaching to win. Our culture is focused on measuring success with our records and how many of this and how few of that in the process. May I suggest that positive results are determined equally by the enjoyment factor measured by can our players control the ball, can they pass the ball, are they feeling more confident from a physical perspective, do they have the right techniques to play skill fully? All this said, spend time in practice giving them lots of touches on the move, use your warm ups to practice passing, dribbling, running with the ball, combining with each other, striking the ball, turning with the ball, learning how to keep possession by shielding the ball from an opponent. 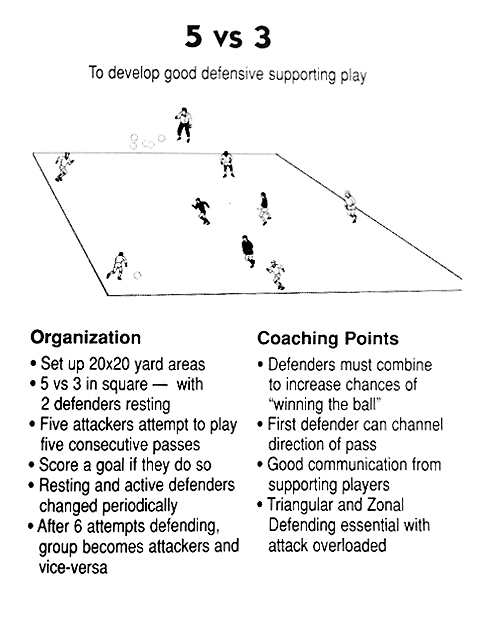 Use small sided games to teach defensive responsibilities and communication. Make sure your GK’s are not ignored in the process as they are the most important player on the team as the last line of defense and the first line of offense. I have done two sessions to date outdoor with the club, some of you might be feeling a little hesitant to let the “new guy” work with you. Hopefully we can get past that when you see how I operate and help the players and coaches enjoy the opportunity to grow together. I am really looking forward to seeing your teams play in May and helping you with your training sessions. Winning games will happen, but it is a process that relies on quality practice and doing the things that will transfer easily to the game. Finally, football food for thought. Dwight’s 6 “F”‘s of Football– Do these every session and you will see the results!! Fun, Fundamentals, Finishing, Fitness, Focus, Formation. 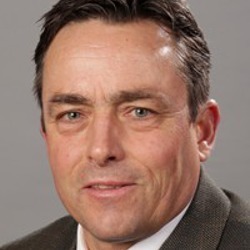 I’ll look forward to working with you and helping our teams improve an all the areas above. Thanks again!